Foodgroot examines, analyzes and parameterizes a large amount of data on the origin of food, its processing, quality, impact on human health, production transparency and environmental sustainability. The main criteria for food rating are origin, health and credibility. The Food Score Index is based on a collaborative dynamic algorithm that is constantly evolving with the latest scientific and technological knowledge. Foodgroot evaluates up to 70 parameters and is the largest, most comprehensive and innovative food assessment system in the world. According to the UN's World Health Organization (WHO), 7 out of 10 people die prematurely because of the epidemic of chronic diseases (NCD). Bad diet is a major variable risk factor. 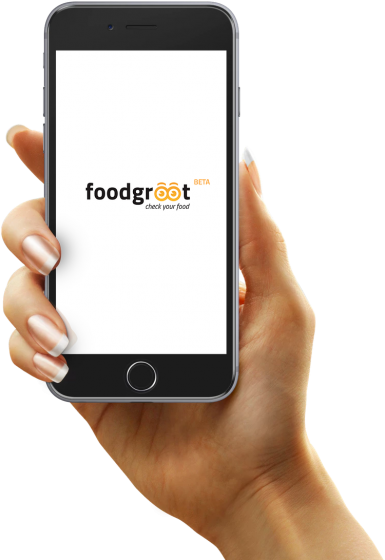 Foodgroot's goal is to empower the consumers in order the help them improve their health by utterly changing the way how people perceive, select, buy and consume foodstuffs. ORIGIN - The Algorithm for the assessment of food origin takes into account several factors that include the NOVA classification system for food on the basis of the nature, scope and purpose of the processing, recognized as a valid instrument for research, nutrition and public health policy and activities in the United Nations Food and (FAO) and Pan American Health Organization (PAHO / WHO), widely used worldwide in more than a hundred studies in Brazil, Canada, France, the United States, Australia, the United Kingdom and other Latin American and European countries. Furthermore, assessing the local or imported origin of food and raw materials for their production, farm production, bio-production, or the production of certified biodynamic farms. HEALTH AND NUTRITION - The algorithm for assessing the health and nutritional impact of foods focuses on factors such as nutrient profiling and nutrition classification in order to promote health and prevent disease, the presence of key contaminants, pesticides, hormones and antibiotics, and the health implications of certain food additives. The UK Department of Health's nutrition model, developed by the British Food Standards Agency (FSA) in collaboration with the British Heart Foundation and its Health Promotion Research Group at Oxford University is taken in the consideration. The model uses a simple evaluation system that classifies balanced nutrition components that have been the subject of thorough scientific scrutiny, extensive consultation and review. It is supported by its independent Scientific Advisory Board on Nutrition (SACN) and a wide range of nutrition experts. It has also become the basis for restricting the broadcasting of television advertisements for products with a high content of fat, salt and sugar, aimed at children. The algorithm also takes into account the WHO World Health Organization (WHO) nutritional profile, World Health Organization (WHO) nutrition recommendations, the Codex Alimentarius Codex Committee on Food Additives and Contaminants, the Joint Expert Committee on Food Additives - JECFA, the European Economic Community (EEC) recommendation assessing the nutritional, hygienic and toxicological properties of chemicals and their effects on health, the recommendations of the American Food and Drug Administration (FDA) and the National Reference Laboratory for Food Additives in the EAA. It also takes into account the latest findings of the American Academy of Pediatricians (AAP) and University Washington (UW) and findings from the University of Southampton's study on FABICs that led to significant changes in the area of ​​food processing and labeling in Britain and Europe, as well as the findings of the University of Aberdeen on the harmfulness of additives in food. SUSTAINABILITY - The food sustainability algorithm evaluates qualitative components such as the percentage of meat in meat products, quality class designation, breeding method (for eggs), fruit component in fruit drinks, yoghurt and other products, freshness and other qualitative factors. It also takes into account local and international certificates (such as Klasa a, Regional food, IFS, BRC, PDO, PGI, Guaranteed traditional recipe, Czech product, CEFF etc. ), water use index, land use index, CO2 index , OXFAM sustainability index, Fairtrade certification, the Rainforest Alliance, the European Palm Oil Alliance, etc. ), user voting (sensory data) and the transparency of production and raw materials through Blockchain Verification of Food Origin. 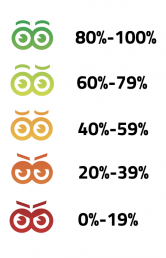 We combine the scores of all three of the above areas into the overall product score, with users seeing the disintegration of the individual factors affecting the overall score. Product basics are provided by Nielsen Brandbank and are also available from publicly available sources and from cooperating institutions and companies. The overall score as well as its individual parts may vary depending on the latest scientific knowledge of the entire food production and distribution chain. Foodgroot is here to make the global food market more transparent in order to empower the consumers and improve their health. In recent years, considerable attention is paid to the growing importance of food processing and dietary habits, lifestyle-related pandemic diseases that have to do with nutrition. Since the eighties, the global food industry has begun to form. Foods in high-income countries and not so strong culinary traditions, such as the US, Canada, UK and Australia, were soon dominated by packaged products ready for consumption. Even in other countries of the world today, these products quickly take on traditional dietary patterns based on minimally processed foods and freshly prepared dishes. The dramatic increase in obesity and diabetes comes in the same way very quickly with this trend. Industrial manufacturing formula and ingredients ultra-processed food makes them very convenient (ready to eat), highly attractive (very tasty) high yield (low additive), and - most importantly - highly competitive to traditional food products and dishes. Due to industrial production formulas and additives, these products are considerably unbalanced and tend to be consumed in large quantities. We call this group "ultra-processed foods and beverages" and it is the most risky of what the food market now offers. With an enormous increase in civilization diseases and premature deaths, almost everyone would like to eat at least a little healthier. But from the position of the "ordinary" consumer, it is often almost impossible to classify food appropriately according to meaningful criteria. The Foodgroot Health and Nutrition Score is designed to help you professionally answer your questions, categorize foods, and allow a healthier choice when choosing them. One recommendation, however, is over everyone else: Eat real food! This is the essence of the nutritional message of today. The latest knowledge of nutrition with a large arc returns to the food that is as close to the way nature is created. Based on the current nutrition science, summarized in the Harvard Special Report on Health and Healthy Eating, it is recommended to consume the right foods that fill the body with the nutrients needed to avoid almost all diseases and dysfunctions from cataracts, infertility, to neurodegenerative conditions , cardiovascular diseases and cancer. But just as good foods can help your health, bad foods (mostly ultra-processed) can increase the risk of heart disease, type 2 diabetes, high blood pressure and other illnesses. Things are often not the way they look. Almost every food producer has its secrets. Take a typically "healthy" breakfast cereal with milk. Cereals are produced by a process called "extrusion". The grains are mixed with water, processed into a slurry and placed in a machine called extruder. Grains are extruded from a small hole at high temperature and pressure, which shapes them into small, appealing shapes. The individual beads passing through the extruder are inflated and become inflated wheat or rice. These semi-finished products are then subjected to spraying, which on the cereals creates an oil and sugar coating to seal cereals against the "devastating" presence of milk in order to preserve their crispness. Biochemist Paul Stitt describes the extrusion process as a treatment that destroys most nutrients. The fatty acids are denatured and even synthetic vitamins are added, which are added at the end of the process. Amino acid lysine, the crucial nutrient, is particularly damaged by this extrusion process. Milk is one of the most sophisticated foods of nature. Today, however, in the industrial system, we are cowing cows for a lifetime; we give them inappropriate feed such as soy, bakery waste, citrus fruit residue, and residues from ethanol production - that is, foods that can not be consumed by cows. Imprisonment and inappropriate feed causes cows to be long-term sick, so they need antibiotics and other medications. We act to make huge amounts of milk industrially, which is enhanced by the use of hormones to increase milk production. Cows then produce a large amount of watery milk with only half the amount of fat compared to the milk produced by cows in the past, which were fed exclusively with green grass. And so we could continue to infinity. The food credibility score on Foodgroot is designed to gradually inspire producers to more open and transparent policies. As a consumer, you have the right to know and know the background of food production and to choose from different options. Scientists from Oxford University and the Swiss Agricultural Research Institute Agroscope have created the most comprehensive database on the impact of almost 40,000 farms on the environment and 1,600 processors, packaging types and retailers. This allows them to assess how different production processes and geographic areas lead to different environmental impacts for 40 main foods. Today's food supply chain accounts for ~ 13.7 billion metric tons of carbon dioxide equivalent, and 26% for anthropogenic greenhouse gas emissions. These emissions can fundamentally change the species composition of natural ecosystems, reduce biodiversity and ecological resistance. Today's agricultural system is also incredibly resource-intensive, covering about 43% of the world's land. Two-thirds of freshwater take-offs are intended for irrigation, resulting in 90-95% of the world's water consumption and deficiency. Vegetable diet reduces food emissions by up to 73%, not only greenhouse gas emissions but also acidifying and eutrophying emissions that degrade terrestrial and aquatic ecosystems. Freshwater consumption also drops by a quarter. Vegetable diet reduces food emissions by up to 73%, not only greenhouse gas emissions but also acidifying and eutrophying emissions that degrade terrestrial and aquatic ecosystems. Freshwater consumption also drops by a quarter. Foodgroot scores are rated on a 0-100% scale. 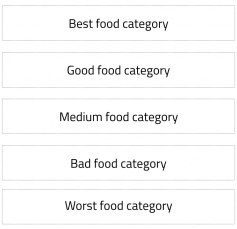 This gives rise to a ranking in each category, and each food is placed in it. You have the option of comparison and better choice. At the same time, we have prepared a system of colorful orientation green - best / red - the worst that will sort all foods for better orientation. "Today we index the Czech Food. Tomorrow we will do it globally." The intention is to provide the most objective and the most independent rating, corresponding to the latest knowledge and trends. 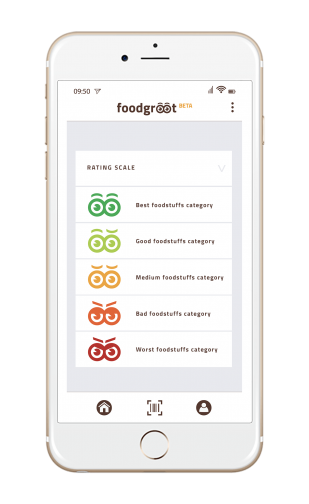 Food rating is based on an independent collaborative algorithm prepared for each food sub-category by an independent expert team. Ratings is a simple number from 0 to 100%. Scores of individual products (rating) decreases or increases in time depending on how adjusting parameters (eg. Due to new scientific study) and increasing information about the origin and production of food (eg. New information about how the chemical treatment of grass as fodder for cattle, which it is part of the milk and meat production chain).